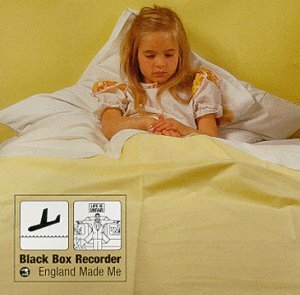 Black Box Recorder is an underground indie band, even in the UK, where they originate. I would say their levels of irony even blow away most of the classic British ironic artists (Belle and Sebastian, Morrissey, Pulp, etc). A single from England Made Me (Child Psychology) has the very singable chorus “Life is unfair. Kill yourself or get over it.” Not surprisingly, this got the song banned from UK radio. On top of all that, they are good musicians and I love Sarah Nixey’s voice, despite not usually being a fan of the breathy female crooning style. BBR also does a killer version of Jacques Brel’s Seasons in the Sun, which somehow overcomes the straight saccharine tones of the original, perhaps because of the context of irony the rest of the songs provide.